The Lamont-Doherty Earth Observatory comprises about a dozen small buildings nestled among pine trees in the Palisades, 15 miles north of Manhattan. On the second floor of the observatory’s geoscience building, the shelves lining Columbia University paleontologist Paul Olsen’s labyrinthine office sag under the weight of hundreds of books about dinosaurs: The Dinosaur Data Book, The Ultimate Dinosaur, Dinosauri In Italia. Olsen has been studying them since he was a teenager. His first paleontological achievement came while he was still in high school. Almost single-handedly, Olsen convinced the Nixon administration to designate a site where dinosaur footprints had been discovered as a National Natural Landmark. Now a professor with a shock of white hair and a mustache he strokes absently when considering how to explain a complex point, Olsen leads the way past towering racks of geological samples to a corner of a cavernous walk-in refrigerator. Here, graduate student Sean Kinney unpacks slim cardboard boxes to reveal a collection of stone cylinders, each about three feet long and four inches in diameter. They are delicately layered: some are cadet gray and marbled with white bands, while others are shades of caramel and auburn. These are sediment cores. Drilled from ancient lake beds, each three-foot segment represents about five millennia of Earth’s history. Together with hundreds of others like them, they make up the “Geological Orrery.” Olsen is fond of saying geologists look at the rock record to discover things about the Earth we cannot learn any other way. With the orrery, he uses sedimentary records to reckon the orbital positions of the Earth and other planets more than 200 million years ago. The method is unprecedented: counterintuitively, Olsen digs down to look up. “In the case of the Earth’s history, you need a lot of observations to see what the patterns are before you can derive a hypothesis,” Olsen says. “The world's too complicated to derive a hypothesis from a series of assumptions and deduce what it must be. And with complex dynamical systems like the solar system, you can’t. There is no analytical solution to the solar system problem, period. You need empirical information.” Olsen published the orrery’s preliminary results—some 24 million years’ worth of empirical data—in Proceedings of the National Academy of Sciences in January. An orrery, like many scientific instruments invented during the Enlightenment, is an attempt to constrain a dynamic corner of the universe—in this case, the solar system—in an orderly model. Orreries represent the sun and planets with globes and clockwork mechanisms; the first modern one was built for Charles Boyle, the Fourth Earl of Orrery, in 1704. Olsen’s Geological Orrery eschews clockwork. Instead, it relies on the rate at which sediment accumulated in ancient lakes and rivers. Locked into the rock record, these layers of sediment provide clues about the Earth’s climate history, which in turn evidence the planet’s orbital variations over millions of years. The question of where the planets were hundreds of millions of years ago is couched in another: are the orbits of the planets stable? Eighteenth-century orreries presumed they were, even as Isaac Newton realized that in a system of more than two orbiting bodies, the gravitational interactions between them would send them careening apart or tumbling into one another. For his part, Newton declared the solar system’s apparent invariability was evidence that a divine creator was tweaking the planetary motions, as if winding a watch. Preferring to live on a planet that would placidly orbit the sun forevermore, astronomers spent the next two centuries attempting to find an analytical proof that could demonstrate the solar system was stable. But the proof was unattainable: the solar system is chaotic. The chaos occurs over immense timescales and is caused by the accumulation of slight gravitational attractions between the planets. Jupiter tugs at Mercury; the moon is quietly divorcing the Earth. The planetary orbits “wobble and wander,” says PNAS study co-author Jessica Whiteside, a molecular paleontologist at the University of Southampton. As a result, astronomers can accurately estimate the relative positions of the planets only to about 60 million years ago—anything beyond that and too much chaos builds up, obfuscating the deeper past. But hidden in that chaos is also a solution to finding out where the planets once were. The Earth’s orbit shifts between several states—more circular or elliptical, with greater or lesser axial tilt and precession—across millennia. The cycles between circular and elliptical orbits, called orbital eccentricity, change the Earth’s proximity to the sun over a period of about 400,000 years. This influences climate, a phenomenon known as Milankovitch cycles (after the astronomer who first proposed it). The climate fluctuations caused ice sheets to encroach or recede and lakes to fill or dry up. This fact is key to the Geological Orrery. Geologists Jim Hays, John Imbrie and Nicholas Shackleton confirmed Milankovitch’s theory in 1976 in a seminal paper that proclaimed the cycles the “pacemaker” of Earth’s ice ages, and Olsen and other geologists set to work trying to better understand them. “By the late eighties, it seemed like if you could get the whole record in [sediment] core it would be an opportunity to see what the pattern was really like at the largest scale,” Olsen says. With Dennis Kent, a geologist at Lamont-Doherty and Rutgers, he began drilling sediment cores in the Newark Basin in northern New Jersey. The Basin was formed when the supercontinent Pangaea began to tear apart during the Late Triassic, about 220 million years ago. (Somewhat conveniently, the Lamont-Doherty Observatory is situated at the Basin’s northern end.) In 1996, Olsen and Kent showed Milankovitch cycles were affecting climate in Pangaea’s tropics during the Late Triassic. They found evidence of several patterns: a 20,000-year precession cycle and 100,000-year, 400,000-year, and 2-million-year orbital eccentricity cycles. The seed of an idea was planted: What if they could use the same approach to reveal ancient planetary dynamics? At Columbia for an astrobiology meeting, Olsen strides quickly along one hallway after another, searching for the stairway that will take him to the top floor. He’s running late. Another scientist calls out to him from his office, and they greet one another excitedly, the meeting temporarily forgotten. “Do you know who this is?” says Olsen. “This is Jim Applegate, who designed the Digital Orrery!” The pair fall into a conversation about the precession of the equinoxes: this, apparently, is how planetary scientists catch up. Applegate, an astrophysicist, was part of a team of scientists led by Gerald Jay Sussman that built a computer in the 1980s that could accurately predict planetary dynamics. Sussman is a Brooklyn-born polymath who has studied artificial intelligence at MIT for half a century. In 1983, he took a sabbatical and “announced his intention to be an astronomer for a year,” says Applegate, who was then a postdoc at Caltech. “He wanted to build a special-purpose computer to integrate the solar system for a billion years.” That computer became the Digital Orrery. It included a separate processor for the sun and each of the planetary bodies. In 1988, Sussman used it to reveal that Pluto’s orbit was irregular. The following year, French astronomer Jacques Laskar, the PNAS paper’s second author, numerically determined that the Earth’s orbit was chaotic, too. This has significant implications: say you measure the current position of the Earth in its journey around the sun, and you’re off by just 15 meters—or about 0.0000012 percent. Laskar showed that even an error as slight as this precludes the ability to predict where the Earth will be in 100 million years. “We used the most precise model that we could make for planetary motion, taking into account all the planets, the minor planets, general relativity, everything,” Laskar says. “But even by doing that, we will never be able to compute a solution beyond 60 million years.” There is no analytical solution to the solar system problem: you need empirical information. As he continued to analyze the sediment cores from the Newark Basin, “it became very obvious that there was a 1.75-million-year cycle,” Olsen says. This cycle was the result of the Earth’s slow gravitational waltz with Mars. Laskar had predicted it, but nobody had ever seen evidence of the cycle in the rock record before. By 1999, Olsen and Kent were able to show that the Earth-Mars cycle had shifted over time, and currently has a period of 2.4 million years. “I got quite a bit of pushback on that,” Olsen says. He is familiar with criticism. His ideas are ambitious, and geologists often disagree on the fidelity of the rock record, which is “riddled with unconformities,” he says. Possible unconformities include missing rock layers or changes in the rate at which sediment was deposited. Changes in the sedimentation rate will distort how time is represented in the record, says Frits Hilgen, a geoscientist at Utrecht University who was not involved in the Orrery study. 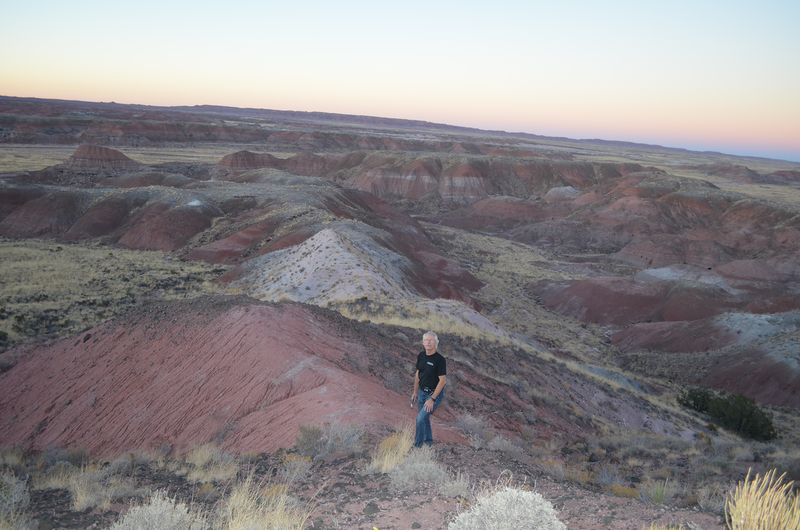 While on sabbatical in 2018—ostensibly taken to write a book about dinosaur footprints—Olsen says he became interested in refining the core data, and he realized he could check the 100,000-year cycles against much longer ones. “It gets very granular,” he says, but explains it anyway: every planet wobbles on its axis like a spinning top, a phenomenon called the precession of perihelion. Each planet’s precession is slightly different—20,000 years here, 25,700 years there—but together, the cycles could be used to check against the ones Olsen had found in the sediment cores. When he compared the celestial wobble cycles and geological cycles, they were a near-perfect match. Olsen pauses, savoring the punchline he’s about to deliver. “Normally what I would have done in the past, is I would have declared victory!” he says. But Olsen realized that he could go a step further and check the 100,000-year Milankovitch cycles against longer ones, like the Earth-Mars cycle. He did so, and they matched. That “is basically impossible, unless the data are an accurate representation of the cycles,” Olsen says. Olsen sent the results to Laskar. “That was terrifying,” he says. After Laskar read it, they spoke. Laskar thought the data was “too good,” says Olsen. He suspected Olsen may have tuned his data using Laskar’s celestial predictions, but after Laskar checked the data himself, he got the same results. The 20,000-year celestial cycles were effectively embedded in the 100,000-year Milankovitch cycles, which were themselves embedded in the Earth-Mars cycle. The orrery worked. The Geological Orrery is currently a proof of concept: it reveals Earth’s climate history from 199 million to 223 million years ago, Olsen says, and derives planetary dynamics from that data. “This is the first time that there is a solid landmark in Earth history when what would otherwise be indeterminable astronomical parameters are known,” says Whiteside. In addition to planetary dynamics, the orrery could help reveal the timing of events such as mass extinctions or track changes in carbon dioxide concentrations over time and show how they interacted with Milankovitch cycles to affect climate. And the orrery has just barely begun to plumb the available sediment records. “Amazingly, geology has provided us with three billion years’ worth of paleoclimate change records in the sediment record,” says Linda Hinnov, a paleoclimatologist at George Mason University who was not involved in the study. That data could provide the astronomical parameters to better predict where the climate is currently headed, she says. Olsen says he does not consider the orrery to be a culmination of decades of work so much as the beginning of a new chapter in geophysical sciences. “I see it more or less as a continuation of a process,” he says. “And I think that one can and should always project forward.” He emphasizes the last few words, his voice rising to underscore their importance. The PNAS paper concludes by presenting an ambitious plan to travel even further back in time, beyond the last 300 million years. That will require more drilling, and the scope of the project could ultimately outlive Olsen’s time at the observatory. In geological time, his career—like any human life—is an eyeblink. Saddled with that ephemerality, making sense of hundreds of millions of years of chaotic planetary dynamics seems daunting. To Olsen, it’s exhilarating. “The most exciting part of this is there’s nothing you can do with modern astronomy or math that can tell you what planetary motions were actually like hundreds of millions of years ago,” Olsen says. But the sedimentary records are there, waiting to reveal their secrets. *Editor's Note (4/10/19): This paragraph was edited after posting. It originally referred to bentonite and zircon crystals providing the evidence and the magnetic field reversals being recorded in zircon crystals.